Have you ever wondered how it feels to have powers out of this world, drive in a ceramic vase on wheels and look life hippie Jaffaar? 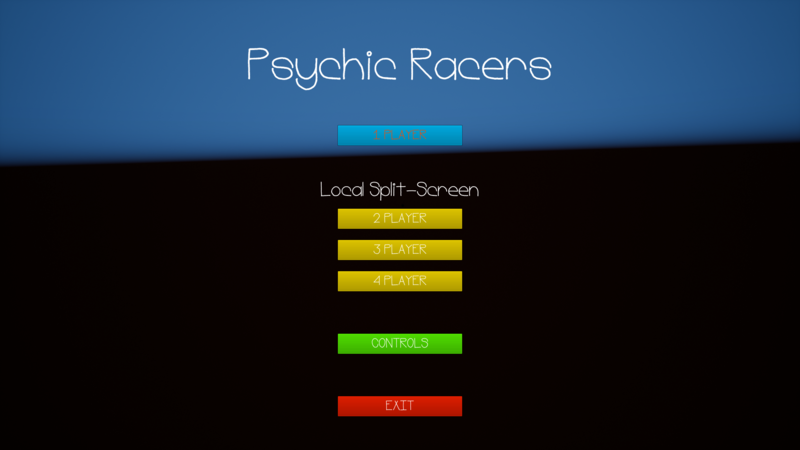 Psychic Racers enebles you to do that! 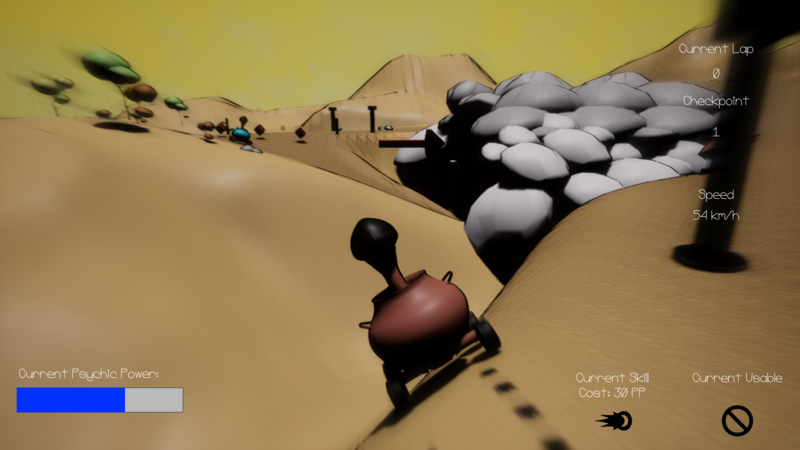 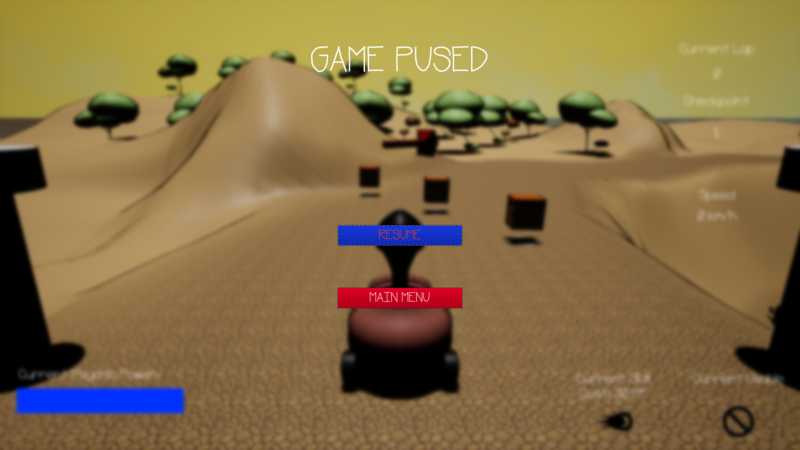 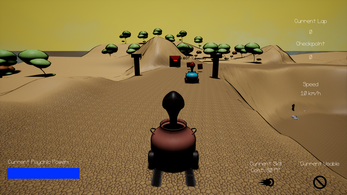 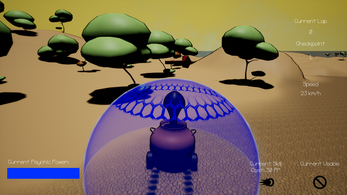 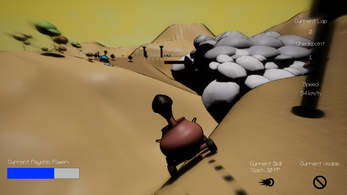 Challenge your friends (or AI) in this racing game and use your telekinetic powers to gain adventage over the opponents. 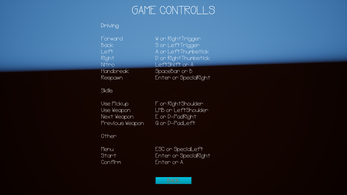 PS: use arrows on keyboard to navigate in main menu or gamepad arrows/joystick. 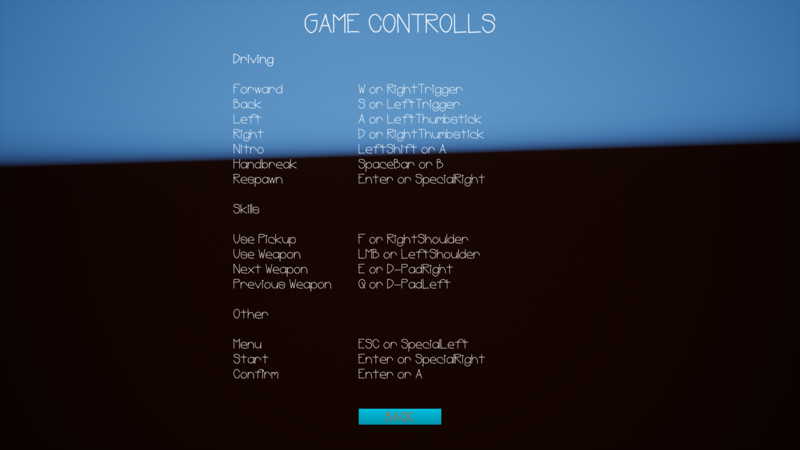 Enter or A to confirm!